Paymi is a very good app. You can earn money back on your everyday purchases. It is similar to Drop program (Drop Program Introduction). Members can link their credit/debit cards to the app to start earning Cash Back from their favourite brands. And you can still earn the normal rewards/cash back from your credit card in addition to the Paymi cash back. 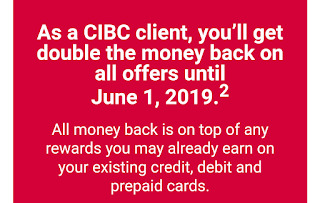 The thing I like is that you can deposit your cash back (once your balance is >$2) whenever you want with Interac e-transfer (much better than Drop)! It will take 2-3 business days for processing, and you need to pay $1.5 fee if the redemptions < $25. If you want to open a new Paymi account, please use our referral link below, so we can get bonus from Paymi. 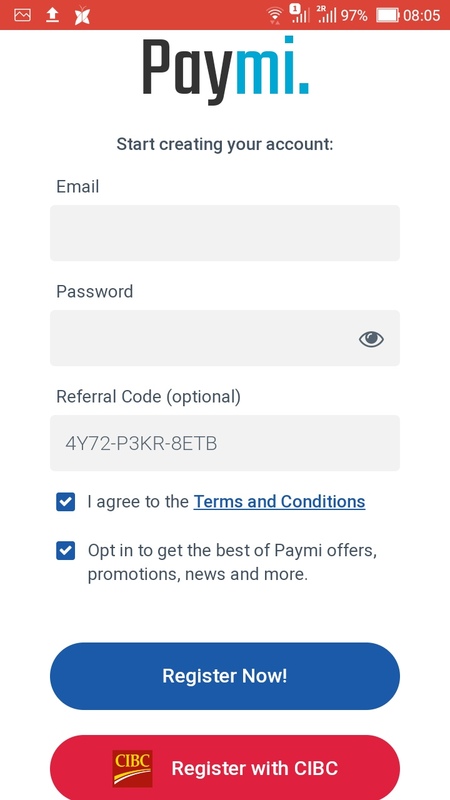 Thanks: https://app.paymi.com/referral/4Y72-P3KR-8ETB (or you can fill in our referral code directly during registration: 4Y72-P3KR-8ETB), then fill in your email and password for registration. You can choose the normal registration button or the CIBC button if you are a CIBC client. When you register with CIBC button, then CIBC will forward your information to Paymi. For people that don't have CIBC cards, you can register and link other financial institution cards. Just FYI, you can link multiple cards and select the best one to use in the stores. 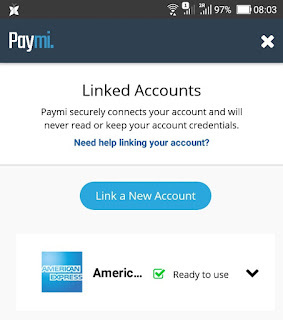 For example, I linked my AmEx Cobalt card in Paymi and plan to use it in those restaurants/grocery stores. Although the Paymi bonus is only 1% with AmEx Cobalt, but the AmEx Cobalt 5X return ratio is much better than any CIBC credit cards. Note: just FYI, a friend told me that he linked a CIBC card first and he cannot link another AmEx card. But when he deleted that CIBC card, he can add his AmEx card. For now, I do have one question: if I link one card in Paymi and Drop at the same time, and use it in one store (for example: GAP or Old Navy etc) which is partner of both Paymi and Drop, could I get Paymi cash back and Drop rewards? 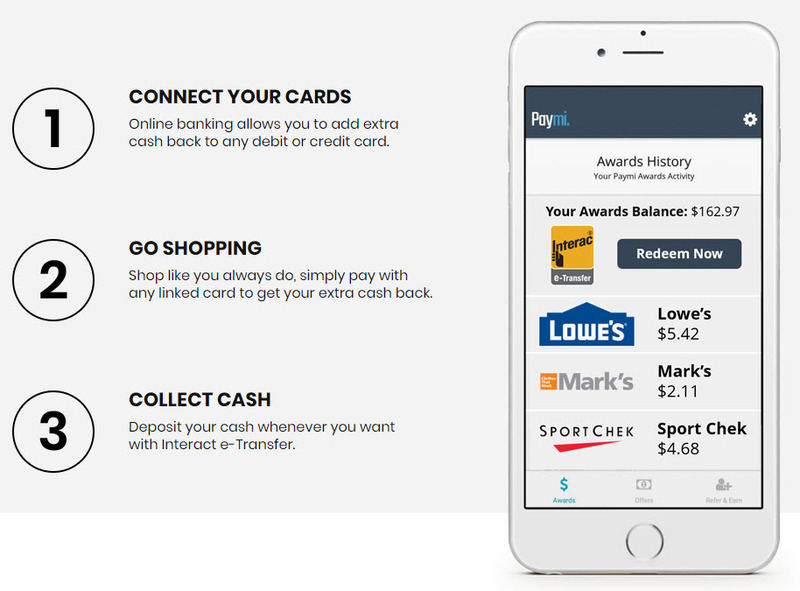 --> Confirmed by data points: you can get cash back from both Paymi and Drop in this situation. Updated on Dec 10, 2018: The Paymi Lowe's offer is really amazing. Its current cash back ratio is 15%. 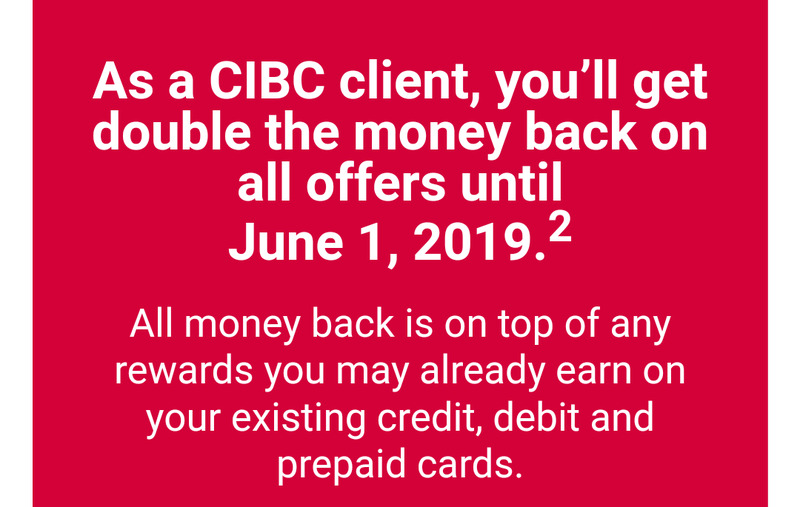 If you shop with a connected CIBC card, you can get 2X cash back, which is 30%. One of my friends bought $2200 appliances from Lowe's with his CIBC credit card (connected in Paymi), and he did receive the 30% cash back ($660). In addition to Lowe's 30%, CIBC cardholders may also receive cash back on Lean's (10%), Mark's (10%), SportChek (10%) etc... Please log in your Paymi to see the offers (YMMV). Updated on Jan 9, 2019: One of my friends bought $7000 gift cards at Lowe's on Jan 7, 2019 with a connected CIBC credit card. And he got $2100 cash back today in Paymi. I think this is a good method, because the Lowe's gift card does not have a expire date. Note: this Lowe's 30% offer is only for one-time use. 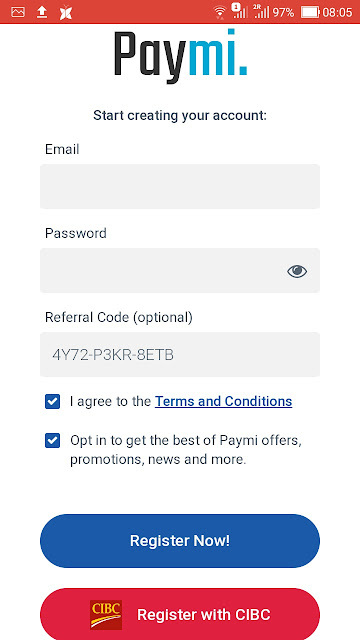 BTW, If anyone wants to leave his/her Paymi referral code below, please use the following format ONLY: "My Paymi referral code is: XXXX-XXXX-XXXX. Thanks." Other codes will be deleted. 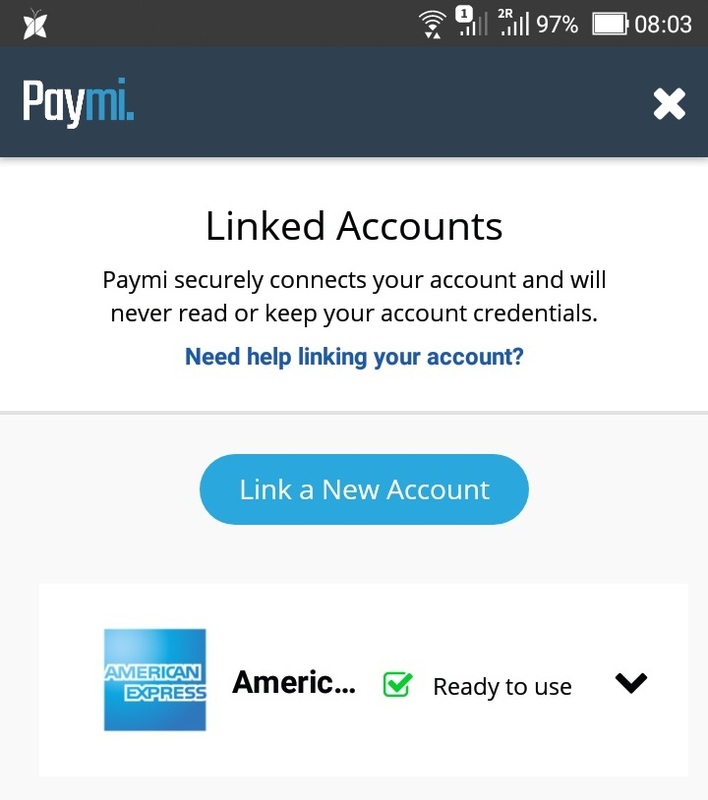 And we do NOT accept Paymi referral links here. Thanks.